Pam Stroud's Reflexology - Reflexology and Visiting Reflexology in Farnborough, Aldershot, Fleet, Farnham, Frimley, Hawley, Camberley, Ash, Ash Vale, Mytchett, and Surrey, Hampshire, and Berkshire borders - Information on recent events. 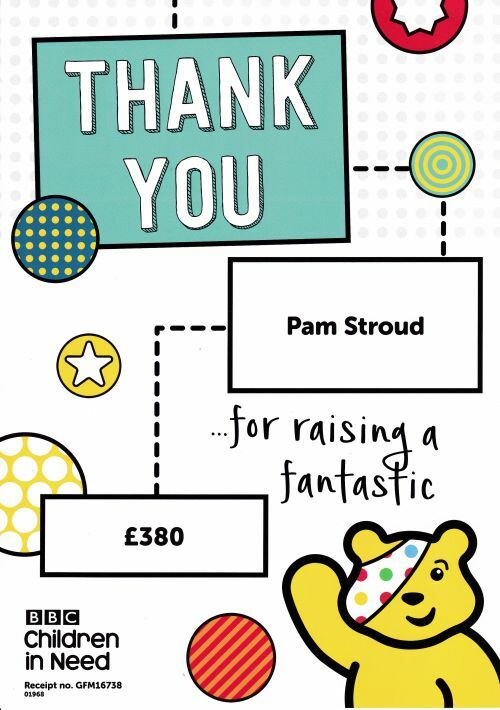 Reflexology Trial treatments this month raised £380 for the Children In Need Appeal. Thank you to all those who participated. This article highlights the importance of finding ways to reduce stress in our lives and many people have found benefit from Reflexology, as well as other complimentary therapies. The Daily Mail of the 2nd January 2017 carried an interesting feature on Facial Reflexology. High profile therapist Ziggie Bergman sees numerous celebrity clients at her London clinic. She advocates Facial Reflexology as a natural alternative to Botox for a more youthful appearance without the possible side effect of a frozen face. Treatment improves skin tone and incorporates relaxing massage techniques. Zita West, midwife and authority on fertility matters, has just published a new book entitled 'Eat Yourself pregnant' which gives valuable advice for both men and women seeking to maximise fertility. The importance of a balanced diet with sufficient vitamin content is stressed, though she cautions against the suitability of low fat diets. A ten week plan for boosting your chances of conception is included. Zita West also recommends the use of natural Chinese therapies for those seeking to maximise fertility. A recent research project has been undertaken at Portsmouth University into the effect of Reflexology on pain threshold. This is reported to be the first scientific trial using Reflexology as a treatment for acute pain. The outcome suggests that Reflexology may be used effectively in conjunction with conventional drug therapy to provide pain relief for conditions such as: Osteoarthritis, Back Pain, and Cancers. Dr Carol Samuel, who conducted the trials, concludes that Reflexology appears to stimulate the brain to increase production of endorphins, the body's natural pain killing chemicals. A recent article by Kevin Rawlinson in The Independent newspaper, on the 10th June 2010, described the results of research that had been conducted, linking people's level of stress to the time it took them to recover from injuries. In essence the research indicated quite clearly that the time to recover from injuries was up to twice as long in those people suffering from the highest degrees of stress, compared to those participants with the lowest stress levels.. These results were presented by Professor John Weinman, from the Institute of Psychiatry at King's College London, to the Cheltenham Science Festival. Given that Reflexology has long been acknowledged to be beneficial in reducing stress, this is a useful scientific confirmation of what has to date been practitioners' experience - the link between mental and physical well-being. Since February 2008 I have been working with members of this group. As well as being of assistance to them it has also enabled me to broaden my expertise. I offered 'taster' Reflexology sessions in the local shopping mall, with all proceeds being donated to this charity. of money for this cause.